Can accommodate multiple types of conveyor mechanism. Curing, Dairies, Confectionery, Fruits & Vegetable Canning, Dehydration, Pasteurizers, Vegetable Oil Refineries etc. KERONE has been leader in designing, manufacturing, installation and commissioning of Spray dryers various ambits of processes and applications. The spray dryers (IR Dryers) are designed and customized to fit into need of your process need for drying requirement and process plant suitability. 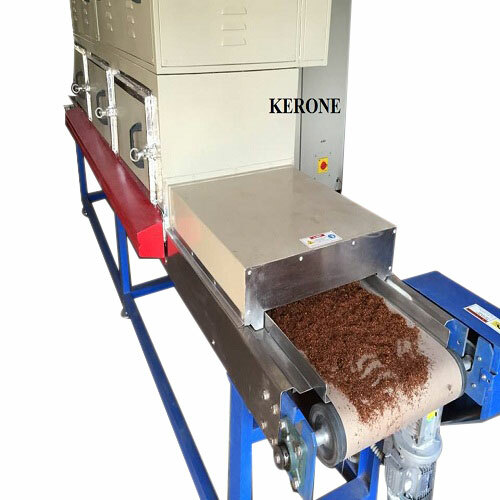 Spray drying has been one of the most energy-consuming drying processes, however the spray dryer designed and build by KERONE is optimized to utilize the energy in very efficient Mannes. 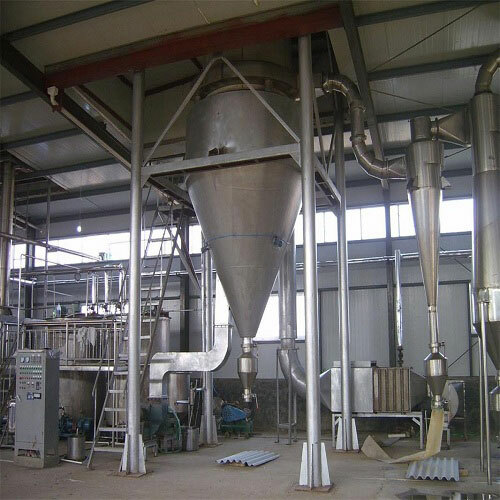 The Spray dryers has been one that is necessary in production of dairy and food product powders. Most spray dryers are equipped for primary powder collection at efficiency of about 99.5%, and most can be supplied with secondary collection equipment if necessary. Solutions, suspensions, slurries and pastes, which can be pumped, can be dried on spray dryers. 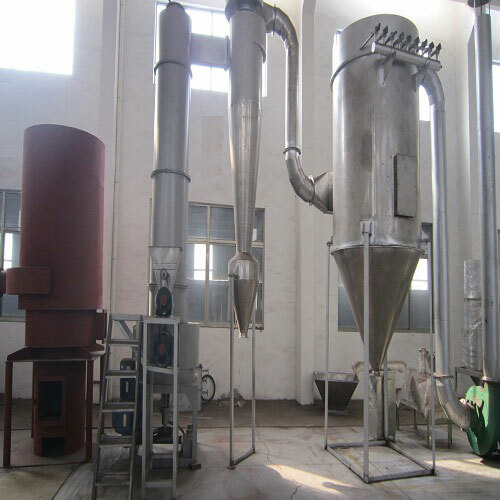 The advantage of spray dryer is rapid and non-contact drying. 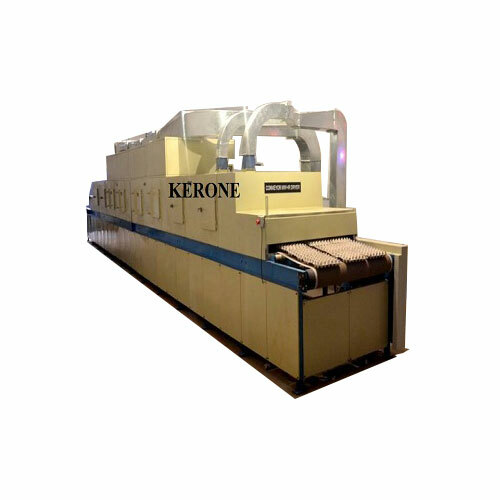 KERONE is specialized in designing and manufacturing of various type of customized Flash dryers also know as Pneumatic/ Flash dryer. We as having over 40 years experience in providing several type of flash dryers for various application. 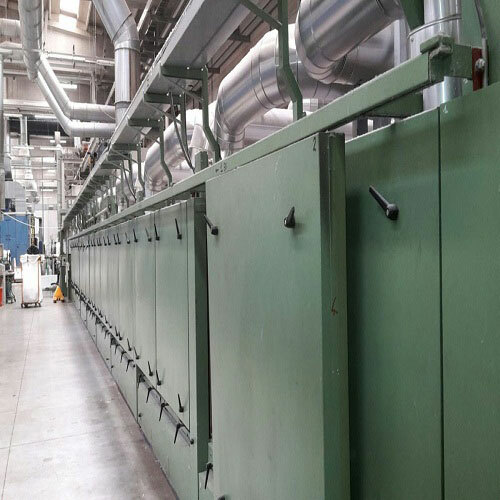 Our expertise with Infrared and traditional flash dryers had made us well versed with the applications where performance of flash dryers can be improved by using Infrared radiator as main source of heating. Pneumatic/Flash dryer is used mostly commonly removing surface moisture from smaller particles or fine drying such as screen printing at relatively short drying times. Flash dryers manufactured by KERONE is fitted with superior quality of lamp reflector module, digital temperature controller and hot air blowers. Pneumatic/Flash dryers are appropriate for drying granular, powdery, pasty, and crystalline products. 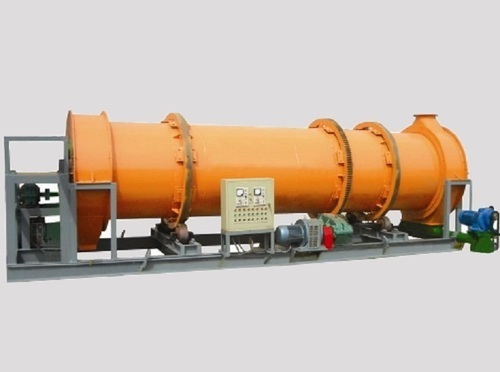 Flash dryers are very useful in drying heat-sensitive products; flash dryers are successfully used in the chemical, food, pharmaceutical, mining, ceramic, and wood industries. Distance between pallets to floor lever app.